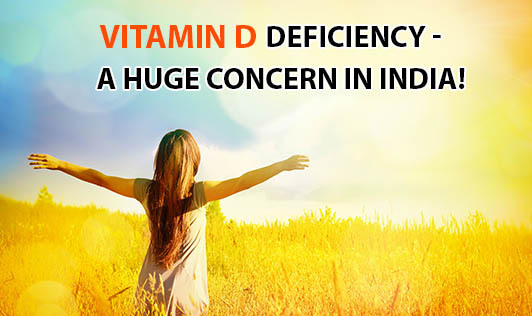 Vitamin D Deficiency: A Huge Concern in India! It has been estimated that almost 80% of healthy Indians are deficient in vitamin D, but ironically, we live in a country with an abundance of sunlight available and hence it comes as a surprise that we are prone to vitamin D deficiency. According to experts, modern lifestyle is the reason why Vitamin D deficiency is rampant in India today. Lack of Sunlight Exposure: Vitamin D deficiency is common among people who stay indoors in air-conditioned offices throughout the day. It is also common in people who cover themeselves almost completely when outside. For example, females who wear parda or burkha when out. Tanned Indian Skin: Melanin reduces the skin's ability to make vitamin D. According to studies, people with dark skin require 20 to 30 times more exposure to sunlight than fair-skinned people to generate the same amount of vitamin D.
Excessive Use of Sunscreen: Excessive use of sunscreen creams or lotions, particularly ones with high sun protection factor (SPF) prevent vitamin D synthesis and cause deficiency. Air Pollution: Increased air pollution prevents ultraviolent rays to effectively reach the body, thereby preventing vitamin D synthesis. Obesity: Being heavier than normal also reduces vitamin D in the body. Increased body fat reduces vitamin D absorption and causes low vitamin D levels in the body. Vitamin D plays an important role in absorption of calcium and phosphorus and in maintaining bone health. Vitamin D deficiency has been linked to several health issues like osteoporosis, obesity, diabetes, fibromyalgia, fatigue, and certain types of cancers. Hence, preventing vitamin D deficiency is of utmost important to reduce the risk of these diseases. According to studies, one needs to expose his/her bare arms and face for at least twenty minutes between 10 am to 2 pm daily for sufficient Vitamin D synthesis and absorption. Including vitamin D-rich foods like eggs, liver, fish, and fish oils in the diet will also help, but in case your vitamin D levels still remain low in the blood, approach a health care professional to start with Vitamin D supplements.